Hanoi Ao dai Festival will be organized for the first time from 14 to 16 October 2016. This is a chance to see the beautiful traditional costume of Vietnam. Under the theme ‘Tinh Hoa Ao Dai Viet Nam’ (Ao Dai the Quintessence of Vietnamese dress), the festival will attract the participations of many fashion designers and artists as well as Hanoi enthusiasts. In the program of the festival, a space will be dedicated to displaying images and documents of Ao Dai history. In addition to collections of unique Ao Dai from the past to present, the materials and ancient looms used to create Ao Dai will be exhibited. The highlight of the three-day event will include a light installation made of conical hats, set up both inside and outside of the festival venue, creating a lively and intimate atmosphere for the visitors. 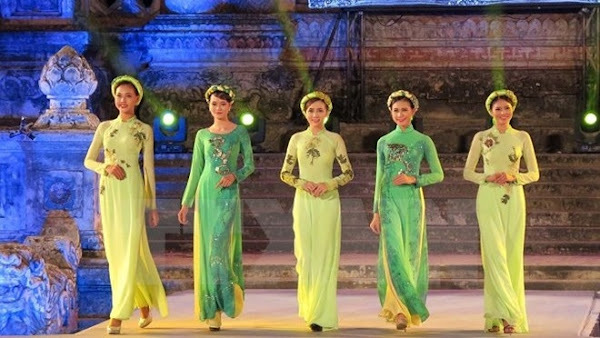 The cultural event aims to preserve and promote Vietnam’s traditional values as well as the beauty and grace of the Ao Dai, which has become a symbol of feminine beauty in Vietnam. It is also expected to introduce the cultural heritages of 1,000-year-old capital Hanoi to both domestic visitors and international friends via the main event as well as many other various activities. Simultaneously, fashion and tourism enterprises will get a chance to exchange experiences and extend their collaboration with both domestic and foreign counterparts. Meanwhile, visitors can enjoy Hanoi’s special cuisine and have their own Ao Dai tailored in the event. Reported by Vietnam Stay who provides Vietnam Tours, Laos Tours, Cambodia Tours, Thailand Tours.